The emergence of Garnett Silk was as timely and triumphant as we’ve seen in the business of reggae music. Upon first hearing Garnet Silk sing you can see this is somebody that wants you to feel what he’s singing about. You can feel that this is someone who has a deep conviction for the messages in his music. Garnett achieved iconic status within only a matter of years. His career took off between 1992 and 1994 when there was a conversion in the mood of the Dancehall. Silk sang cultural songs that spoke to the needs and desires of the African diaspora. Legendary producer Bobby Digital recorded his debut album “It’s Growing.” That album featured deep cultural themes, spiritual songs, and romantic songs. It went on to become one of the best selling albums in Jamaica for 1992. Silk recorded hits for the Star Trails label, King Jammys, Jack Scorpio, Sly & Robbie, and Steely & Clevie. He headlined 1994’s Reggae Sumfest and Reggae Sunsplash festivals. Then he signed an international distribution deal with Atlantic Records. He started working on another album with Sly & Robbie at Tuff Gong Studios. As this album was nearing completion, two burglaries took place at his mother’s house in Mandeville. Garnett borrowed two guns from his lawyer for protection. As he sat with his friends on the afternoon of December 9, 1994, showing them the guns, he confessed that he didn’t even know how to use them. One of his friends offered to show Silk how to fire them. At some point one of the guns discharged. The bullet hit a propane gas tank igniting a massive fire. Everyone in the group was out of the house when Silk realized that his mother was asleep in her bedroom. Immediately he returned to rescue her. Silk and his mother got trapped in the burning house and did not make it out alive. Garnet Silk passed away at 28 years old leaving a wife and three children. His son Garnett Smith Jr. has ventured into a career in music. His nephew Anthony Cruz, also a well-known singer, recorded a tribute album in 2013 featuring cover versions Silk’s songs. Several singles and compilation albums got released after his death. If you are a sound system lover check out “Killamanjaro Remembers” released in 1999. Also, check out “The Conquering Lion dubplate selection” released in 2000. That one includes dubs that Garnett recorded for Conquering Lion Sound System in the 80s. One of the big questions for reggae fans is “What if…?” What if Garnett was able to live on until today? We’re blessed with the musical legacy he left. Enjoy this mix, collect his music. Garnett Silk is definitely not forgotten. He is always remembered and always missed. Thank you for listening to Reggae Lover Podcast Episode # 90. I want to shout out everybody listening to the podcast on iHeartRadio, our newest platform. Welcome! Whether you have a podcast app, are on iTunes, or iHeartRadio, please follow or subscribe. Like and share the mixes you love. Leave a 5-star rating, and if you leave a written review I will mention you in an upcoming episode. I am going to be doing a series of interviews with prominent people working in the reggae business. I’ll be talking with people that perform on stage, and also some who work behind the scenes. I’ll still be coming out with one mix per week, but I am excited about the episodes in a talk show format. Keeping it fun and informative is the goal. I have dedicated this project to you my fellow reggae lovers. Thanks again for listening. Want Music Like This At Your Live Event or Venue? 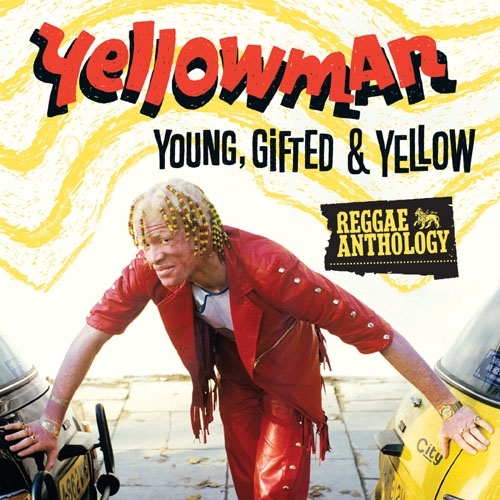 Young, Gifted & Yellow is a 2 CD / DVD Anthology of the legendary Yellowman the inimitable deejay whose style and originality broke Jamaican dancehall to international acclaim in the mid 1980s.